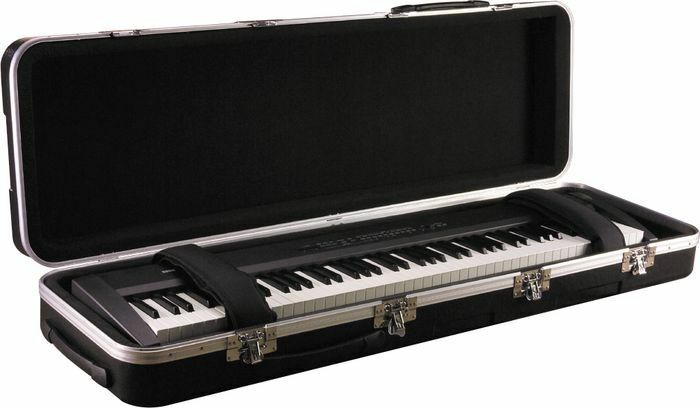 Gator molded keyboard cases are manufactured from military grade Polyethylene. 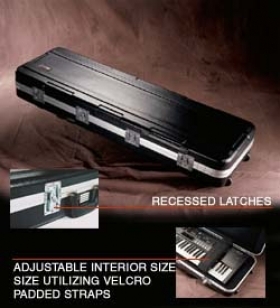 Recessed zinc plated latches make this a true flight ready case. the cases have built-in roller blade style wheels and a comfortable handle to pull it with. The interior features a Gator exclusive design that utilizes adjustable padded straps that allow you to strap your keyboard securely into place during transportation. Gator is truly the first hard shell solution for keyboards at a price that is affordable.